We're going down the main information connection in this loop while bits pass us by, this VJ tunnel video loop will take the breath away from your audience. A neat animated design to have at your command. 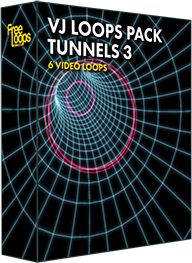 This video loop is part of VJ Loops Pack Tunnels 3.